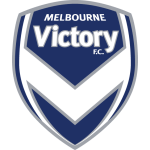 A-League football from Australia runs from October to May and teams play a total of 27 games through the regular season before competing in the playoffs. There are no promotion or relegaion places in the A-League meaning teams have it all to play for during the season, and we have it all covered with our free A-League predictions. When are your A-League tips posted? A-League matches are usually played Friday through to Sunday but games are often scheduled on Monday’s, Wednesday’s and Thursday’s as well. 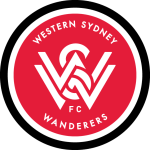 Follow us on Twitter so you don’t miss out of when our A-League tips are posted. 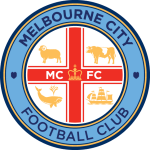 A-League match previews will usually be published on site 2-3 days before games kick-off so make sure you check this section of our site at those times for your A-League tips. All of our A-League betting tips will be accompanied by an explanation of why they have been chosen so you can decide whether to follow them by betting easily and quickly or, to create your own bets with the information provided. Our expert tipsters will post a betting tip and correct score prediction for every single A-League game through the regular season as well as the playoffs. We are the biggest football betting tips website on the internet and we have much more than just A-League predictions for you. We have all of the major football leagues around the world covered in order to help you win your bets. We also offer a variety of different football tips on a daily basis including football accumulators, both teams to score tips, correct score doubles and our famous £10 to £1000 challenge so feel free to get involved by clicking on any of the links below!